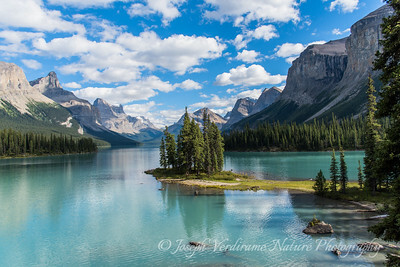 Probably one of the most photographed places in the Canadian Rockies, Spirit Island is located on Maligne Lake in Jasper National Park. This setting is pure magic. 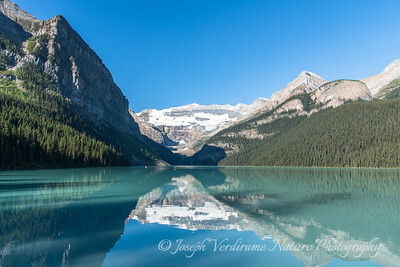 Lake Louise in Banff National Park is likely the most popular place in the Canadian Rocky Mountains. 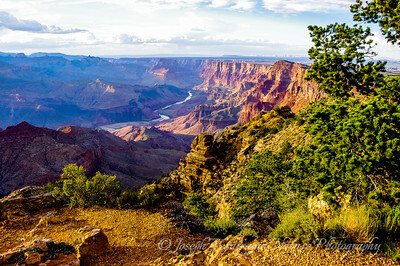 No one can resist the splendour of this place and walk away without taking dozens, if not hundreds, of photos! 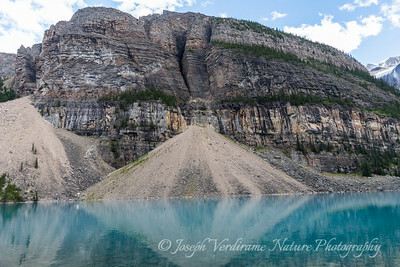 A near-perfect reflection creates some interesting geometry on Moraine Lake in Banff National Park. 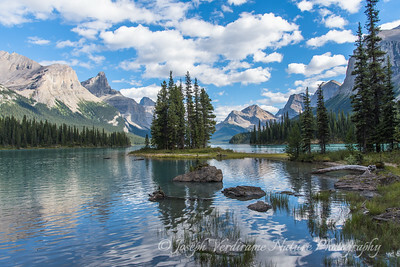 This lake is one of the glacially-fed jewels of the Canadian Rockies. 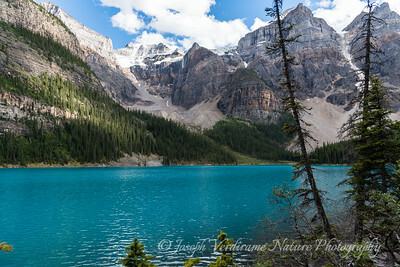 Another lovely vista of Moraine Lake in Banff National Park, as one hikes the trail. 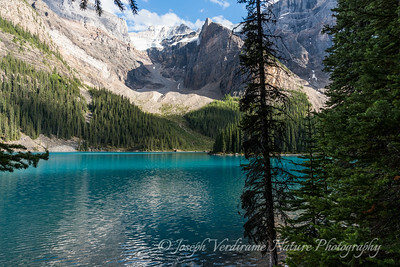 This lake is one of the glacially-fed jewels of the Canadian Rockies. 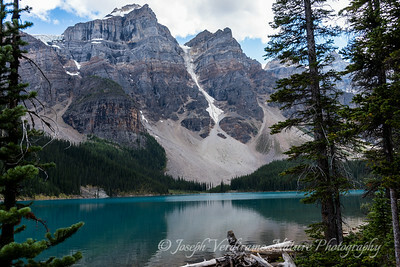 Moraine Lake in Banff National Park. This lake is one of the glacially-fed jewels of the Canadian Rockies. 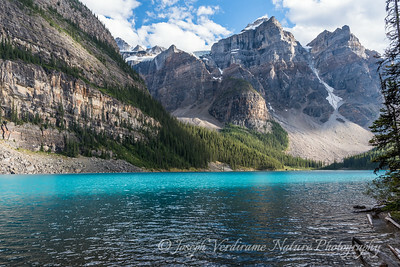 An 'intimate' view of Moraine Lake in Banff National Park. This lake is one of the glacially-fed jewels of the Canadian Rockies. 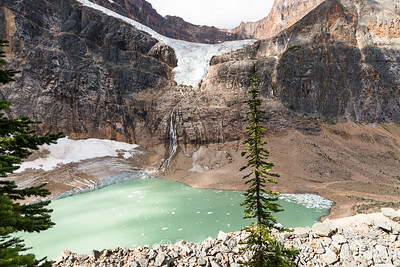 A view of the Mount Edith Cavell Glacier in Jasper National Park. 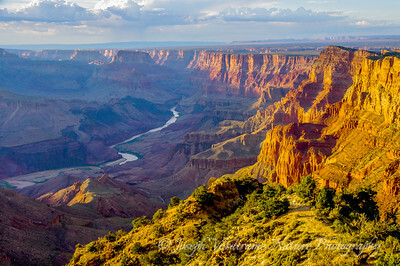 A view of the Grand Canyon at sunset, with the Colorado River in the distance. 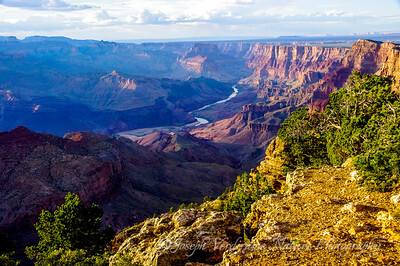 A view of the Grand Canyon at sunset, with the Colorado River in the distance. This is nature's palette at its finest. 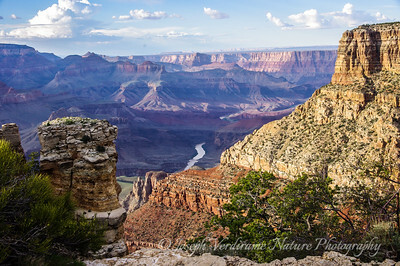 A closer view of the Colorado River as it flows near the south rim of the Grand Canyon at sunset. 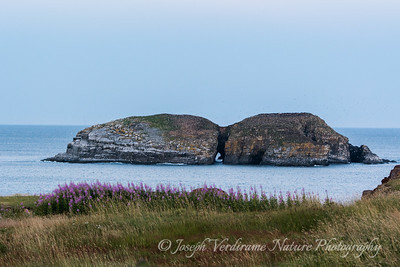 A small island seen from the cliffs overlooking the Atlantic Ocean in Bona Vista, Newfoundland. 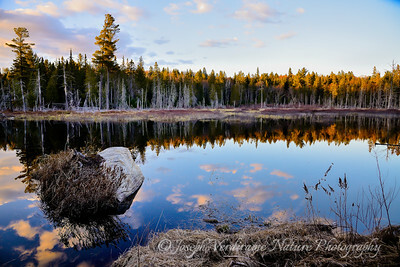 The beaver is known as a master architect in the Canadian wilderness for its ability to dam waterways and create new habitat, like this pond in Algonquin. 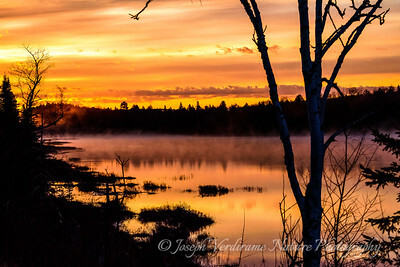 Getting up early in Ontario's Algonquin Provincial Park is a great way to see nature's paint brush in action. 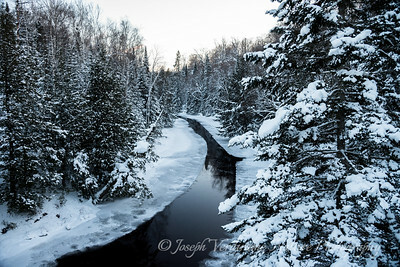 Winter has a beauty all its own along this trail in Arrowhead Provincial Park near Huntsville, Ontario. 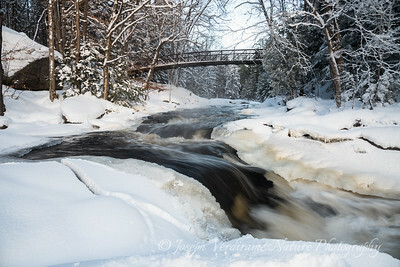 The Big East River flows serenely through Arrowhead Provincial Park in this winter scene.